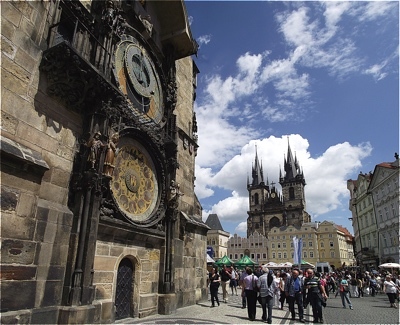 The heart of Prague is the Old Town (Staré Město in Czech), the perfect spot to start exploring its hidden alleys. A rising monument of Jan Hus who is considered the first Church reformer, overlooks the building that tells us the stories from city’s past. There is the Týn Church, resembling to some of us Disney’s Castle with its two Gothic towers and golden statue of smiling Virgin Mary between them. Would you believe that this church is the place where one of our kings wished to burry his heart, while the rest of the body lies in Prague Castle? He wanted to be as close to his people as possible. 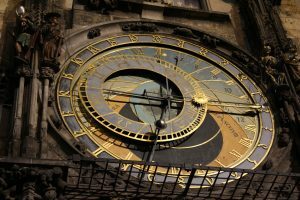 The most famous place is Old Town Hall and its Astronomical Clock (or as we call it in Czech “Orloj”).Thousands of people arrive here on every hour to see the procession of the Apostles, that famous show of Prague. The clock tells the time for more than 600 years.